Sonexis recognizes the importance of convenience and ease-of-use for professionals who are constantly on the move. Unfortunately, business doesn't pause when we're trying to get from point A to point B, which can make connecting to and organizing calls a huge hassle. 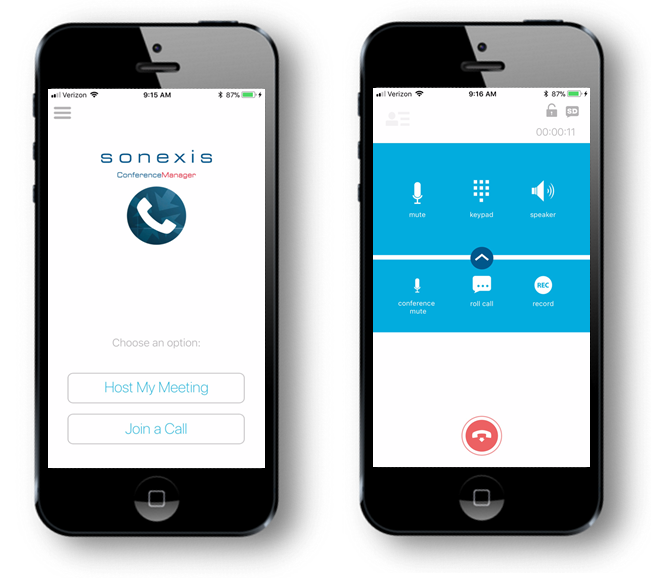 Fortunately, the Sonexis Mobile App allows customers to easily connect to conferences from their iOS or Android devices, no matter where they are. As a host or a participant who is on the go, this will give you quick and convenient access to your conferences, eliminating the trouble of finding or memorizing dial-in numbers or passwords. 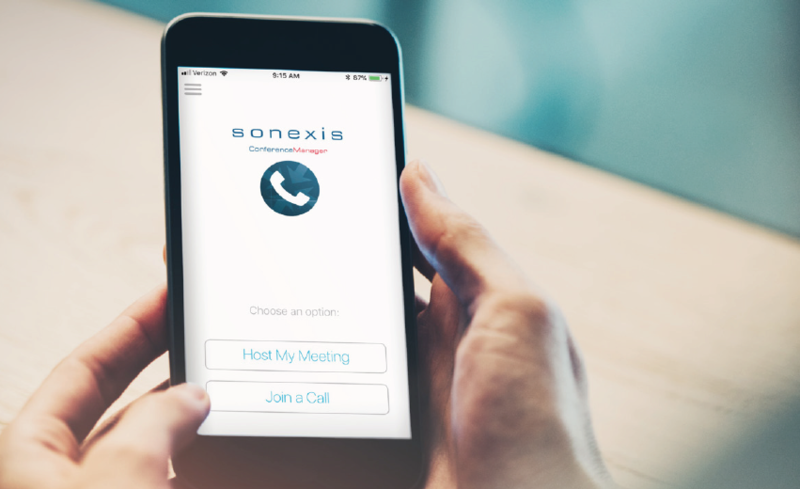 For years, Sonexis has used the phrase "enabling the mobile workforce" to describe what we aim to do by providing reliable conferencing solutions and services. As the workforce has become more mobile than ever and conferencing as a whole has given us the ability to collaborate from virtually anywhere, having an easy way to connect to conferences on your mobile device is an absolute necessity. Hosts and participants will find that this simple application allows them to start and connect to conferences efficiently. As a host you have all the same functionality you would have from your desk phone. With access to mute, record, roll call and a keypad for additional DTMF commands, your transition to hosting on the go will be as seamless as possible. Participants will also have access to DTMF commands, the ability to mute their own line, and more. With this new application, joining a Sonexis conference from the road has never been easier! For international users this application allows callers to connect via mobile data or Wi-Fi networks which not only allows for a sharper connection but also can alleviate costly international minutes absorbed by global companies with participants joining from all over. The same is true for any company that has per-minute rates and users connecting to conferences via their desk phones. With the average conference call lasting a minimum of 30 minutes and many employees participating in multiple conferences per day/week, the costs can add up quickly. By connecting with the mobile app, users avoid these previously unavoidable costs and connect to conferences directly via data networks.